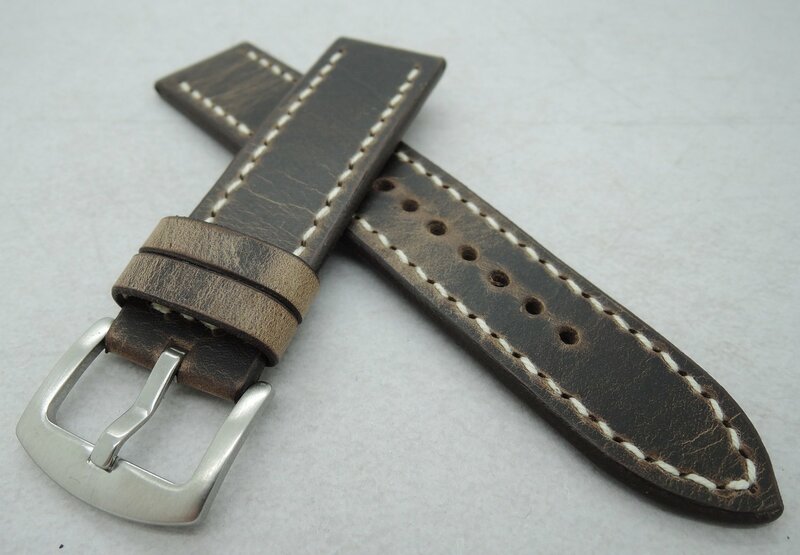 This watchstrap is made from a dark brown Crazy Horse leather. It is not leather from horse as the name suggest but a cowhide treated with oils and waxes to produce a gorgeous pull-up leather that changes in character with every use. Please see the 4th last picture to see how it reacts when bent. A gentle rub with your thumb brings back the dark hue again. I've used off-white linen thread for the stitching. Ready to ship and ready to use.